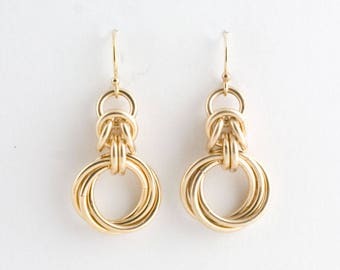 A beautiful swirl of ten 14k yellow gold filled rings captured with a link of the byzantine chainmaille weave, all suspended from a 14k gold filled chain. This piece was first commissioned by a group of 10 women commemorating their 50 year-long friendship. 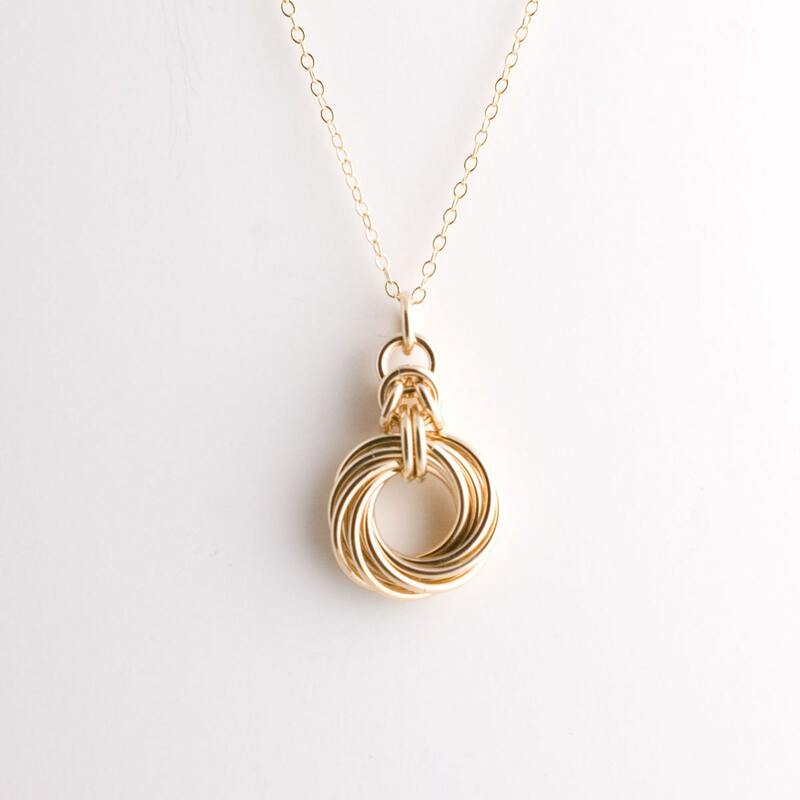 It has since become a permanent part of my love knot collection. My line of love knot jewelry comes in a variety of metals and sizes. All metal combinations shown in the photos. View each line of necklaces and earrings with the links below. Please note that the photos of the necklace in my hand, and with a ruler are for sizing purposes and may not reflect the color/metal of this listing. The last photo is of the three love knot pieces I offer so you can compare and contrast. All items are shipped in lovely packaging, ready to give!